The versatile Accent EV.2 Fireplace can double as an end table, nightstand or foyer accent table. This innovative design is space saving as well as practical so it also works well for smaller- scale living like apartments, vacation homes, RVs, mobile homes, retirement communities, condos or anyplace that could use the bone-soothing heat and ambiance of a fireplace. This fireplace has a classic style that blends well with any home decor and like all Heat Surge fireplaces, the entire mantle is quality woodwork that is handmade and finished by Amish craftsmen in the heartland of Ohio. The Accent EV.2's versatile and lightweight design makes it great for zone heating which enables you to quickly move your fireplace from room to room, thereby lowering your heating bills and saving money. With the Heat Surge Accent EV.2 there is no venting, no chimney and no mess required. 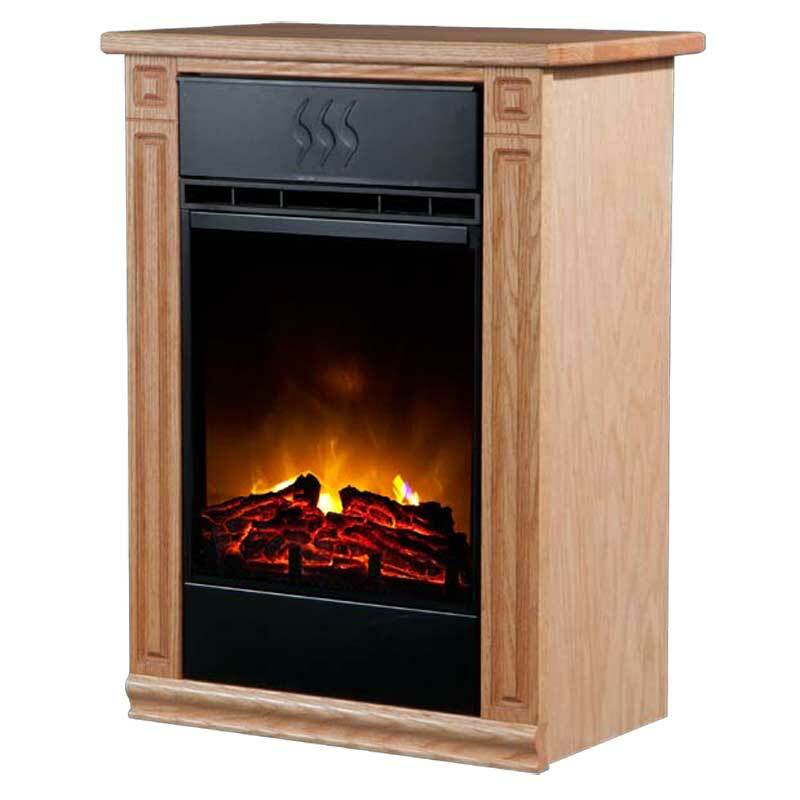 It comes fully assembled in three stunning finishes: Rich Dark Oak, Light Honey Oak, or Manor Cherry; all built to provide years of warmth and beauty.